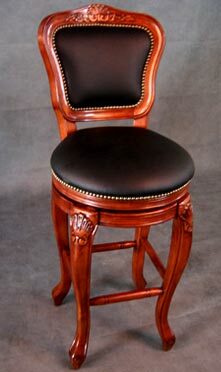 Leather barstools look beautiful and feel divine. 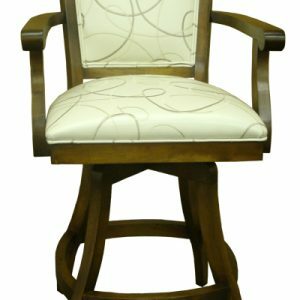 When you sit down in one of our comfortable leather barstools, you’ll feel the quality that has gone into crafting these beautiful seating options. You might not want to give up that seat for a good long while. And that’s the point. Comfortable and beautiful seating options are great for your dining table, for a bar, or for a kitchen island or breakfast bar. 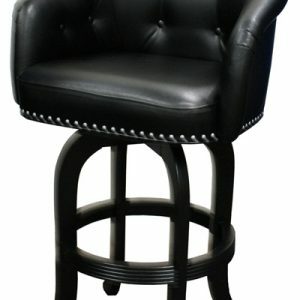 We sell leather high backed barstools, barstools with swivel options in leather, reclining leather and wood barstools, and our options range from leather and wood to leather and metal, and so forth. 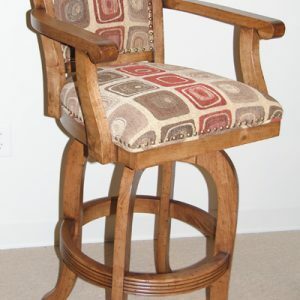 Alfa Barstool sells our own brand, Alfa Designs, as well as several of the other top barstool brand names. 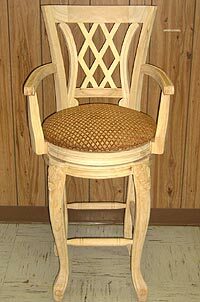 We do custom wooden and leather barstools, too. 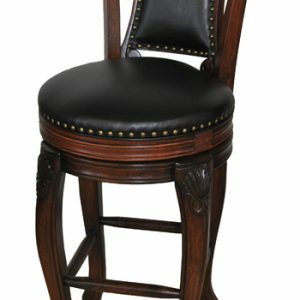 If you want comfort, leather barstools can’t be beat. Thick padding and supple leather in brown, black, or white can work well in a variety of décor styles. 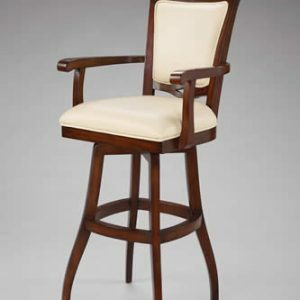 And our commercial barstool customers who want their customers to feel so comfortable, they’ll want to stay a good long while often look at our leather barstool options. 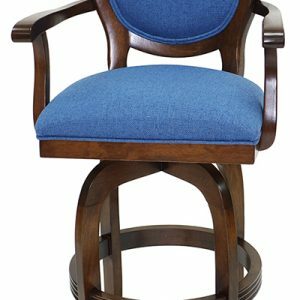 We have armless, backless, low back, and a variety of comfortable commercial barstool options to choose from. 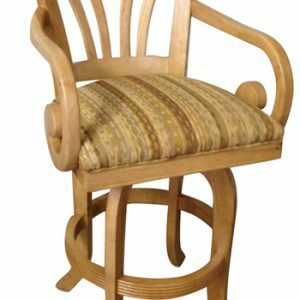 In addition to deciding on the style of barstool back and seat, you’ll find that we have a wide variety of other features to choose from, too, including arm rests, swivel and tilt, stationary barstools, low back, high back, and more. 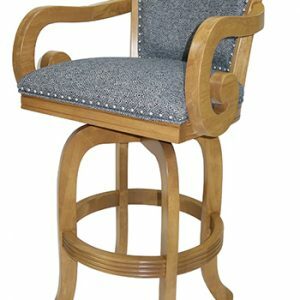 Our bar seating options are built to last and can look great while they last for many years. Regularly vacuuming and dusting your stools as well as periodic leather conditioning treatments can help them continue to look good for decades. Want to check out our leather stool options in person? Feel free to book an appointment to visit us in our Lauderhill, FL warehouse. 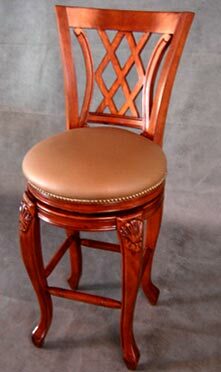 We have some of the best prices for leather barstools online. 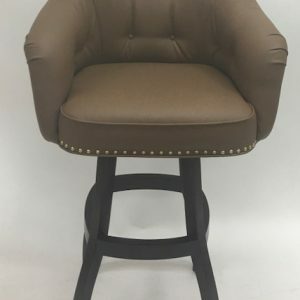 Our quality is top-notch and we offer leather mixed with wood, with metal, or whatever else you can dream up when you buy Alfa Designs custom barstools. Placing an order is easy here on our secure site, or we would be happy to walk you through the process by phone. Not sure if leather is right for you? We sell a variety of other options, including: acrylic, aluminum, brushed stainless steel, metal, metal with wood, and combinations of these materials, too. In business since 1992, Alfa Barstools would be happy to help you get the counter height, spectator height, pub height, or extra tall bar or counter seating you are looking for. We get great reviews for quality craftsmanship, our unbeatable pricing, and for our excellent design assistance and customer service. Whether you choose brand name leather seating or one of our custom options we are here to make the process easy for you.